Sold under our brand name X-FACTOR™, the effectiveness of this supplement has now been demonstrated in placebo-controlled trials, published in the Public Library of Science (PLOS ONE). Thirty experienced weight-training subjects (age 20.4 ± 2.1 years) were given six capsules of X-Factor per day (1,500mg ARA) or placebo for eight weeks. By the end of the study, the subjects taking X-Factor had noticed significant improvements in Lean Body Mass (2.9%; 3.5 lbs), Upper-Body Strength (8.7%), and Peak Power (12.7%). The subjects taking placebo remained stagnant, without significant progress. 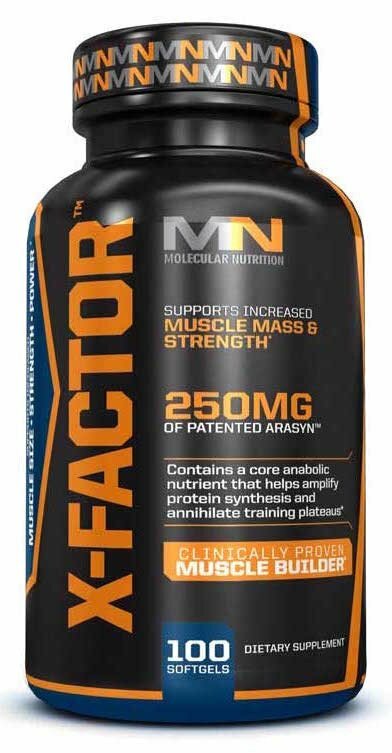 This makes X-FACTOR the first supplement ever shown to break plateau in experienced lifters! Read the Arachidonic Acid study published in PLOS ONE.